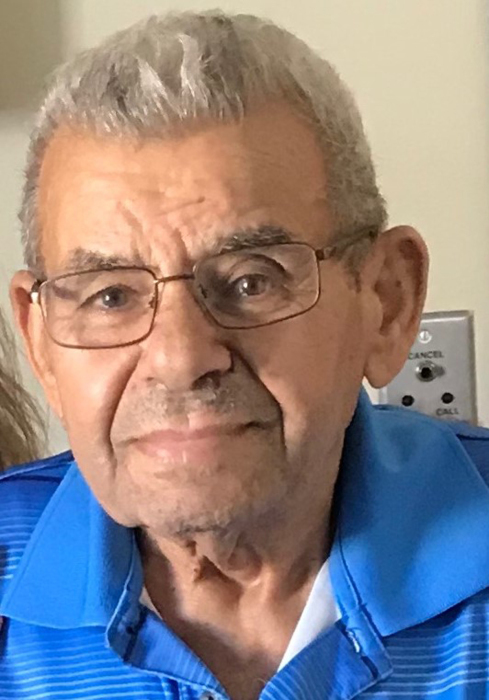 Pietro Fuccio, 87, of Monroe Twp., passed away on Monday April 1, 2019 at Robert Wood Johnson University Hospital, Hamilton. Born and raised in Paolisi, Italy, Pietro lived in Venezuela for 10 years before returning to Italy for a time, then coming to the United States more than 50 years ago, living first in Brooklyn, New York, then in Palm Coast, Florida for 20 years before settling in Monroe Twp. in 2014. He retired from the Excavators Local 731 of Queens, New York after more than 30 years of service. Pietro enjoyed making homemade wine, watching Italian soccer and walking. Above all, he loved spending time with his family. Predeceased by his wife Ermelinda in 2013, and his siblings, Luigi and Rosina Fuccio and Domenica Illiano, he is survived by his children, Filomena Spinelli and her husband Thomas, of Brooklyn, New York, Luigi Fuccio and his wife Antonella, of Lawnside and Antoinette Sacchetti and her husband Edmond, of Monroe Twp., his siblings, Teresa Massaro, Palma D'Urso and Joseph Fuccio, and; his grandchildren, Rosanna Cretella, Thomas Mattiello, Peter, Marco and Melinda Fuccio and, Christopher, Jonathan and Matthew Barletta. Funeral services will begin with a Mass of Christian Burial from Immaculate Conception Church, Spotswood, on Friday morning at 10:15 AM. Entombment will be on Monday at 1:00 PM at the Craig Flagler Palms Mausoleum, Flagler Beach, Florida. The family will receive friends on Wednesday evening from 6:00 to 9:00 PM and again on Thursday from 2:00 to 4:00 PM and 6:00 to 9:00 PM at Spotswood Funeral Home, 475 Main Street, Spotswood. The family has requested that flowers not be sent for this service but rather donations honoring Pietro's memory be made to St. Jude Children's Research Hospital by clicking on the link.